I woke up, barely having slept at all Monday night. My head burned and throbbed and I was congested. Yes, welcome to the beginning of school year cold in the middle of August. Most of my life I just pushed through a simple cold, sucked on lemon cough drops, took a short nap, but still maintained life as usual. There was too much going on to pause. But last Tuesday I took a sick day. Not because I couldn’t get out of bed. Yet because I’ve learned enough to listen to my body-and I needed to protect myself from feeling worse. So I made breakfast, took a bath, completed a small house project, and napped for 3 hours all while running the diffuser constantly. The sick day helped me to slow down. To remember that my health takes a precedence over work. To remember that I miss mid-morning walks and writing daily. To remember that the goal isn’t to push through any more but to listen to my body. To remember that a simple change of pace changes my perspective drastically. To remember that I’ve grown; I’m no longer who I used to be. To remember that it’s my job to forget about students for the day and take care of myself. I made the right decision and I didn’t feel any guilt. 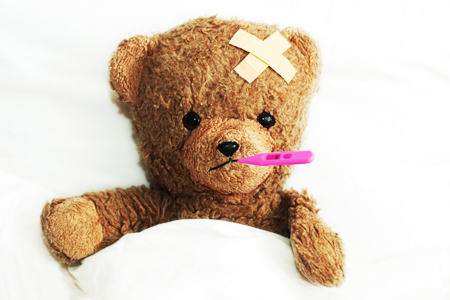 I took a sick day on the third week of school. I reminded myself that I manage a chronic illness daily and that pushing through is not my job description anymore. I took a day off and could truly rest. What do you learn about yourself when you take a day off? Next month, I will start a class on spiritual direction in Indy. Since signing up, I’ve felt tentative. 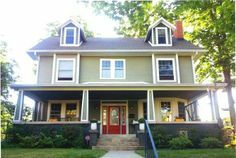 I discovered spiritual direction by attending a few solitude retreats at Sustainable Faith Indy and talking to the hosts, who so graciously welcomed me into their home for quiet reflection in the midst of an undiagnosis and unrelenting fatigue. I left their home thinking “I want to become like them.” So at their home for 5 weekends this next year, with a small cohort, we will learn together about spiritual direction and what it means to be a spiritual director. And over the course of this year, I know I will be changed. I hope I become a person for can embrace stillness and rest even more fully, enter into conversation more attentively, and see the stirrings of God more acutely in myself and others. As I come home from work and read, I find myself crying, reflecting, and knowing that this is my most weighty adventure this year. I can’t wait to tell all of you more over the coming year. What adventures are you taking over the coming year? How do you wish to learn and grow? This is my new favorite recipe and I thought I’d share. It makes one dozen, good for dinner, and the leftovers the next morning with a cup of coffee. Bake at 375 degrees for 15-17 minutes. Enjoy! I read this short, yet poignant book this week. I urge you to take time to read it. 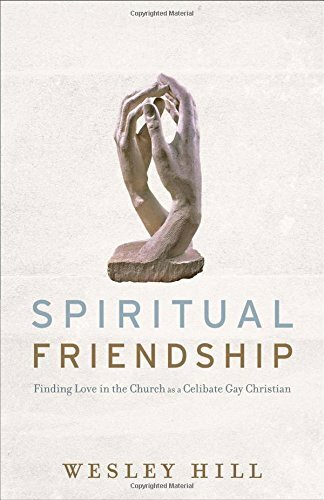 Wesley Hill tackles the theology and historical perspective of friendship, while analyzing why friendship seems to be a lost art in modern culture. What is most beautiful about Hill’s writing is that he doesn’t compromise his theology, while writing honestly from his perspective as a gay celibate Christian, and how his orientation affects his view of friendship. He asks honestly what celibate gay Christians are to do with their longings for love and their fear of loneliness. Is there a place for love in honest relationship within the church? Hill says, yes, in friendship. I subscribe to a blog called Spiritual Friendship, where Hill is a co-editor, and I’ve been challenged over the past 18 months by his writing. Hill has helped me see the need for friendship in my own life-that it is a holy longing to know and be known by someone else, and the longing doesn’t have to be sexual in nature. Why I am encouraged and challenged by a gay Christian, when I myself am not gay? Well, for several reasons. First, I respect Hill’s upholding that marriage is between one man and one woman-and that his calling on his life is celibacy. I respect his honest personal narrative, while still showing immense love for the homosexual community as a whole, even when he might disagree. I’ve also seen parallels and the immense need for friendship in sickness. Loneliness seems to outweigh any other reality at times, yet I feel as though I have love to give, but wonder, “To whom do I show my love?” And the answer for me has been in mutual friendships. Those that seek to understand and to be honest themselves. Those that seek to learn and are patient. Those that can accept mystery and seeming contradictions. Those who can be in the moment, not always striving for more. Those who can sit and be still. These people are my friends. Read Wesley Hill, and let yourself be challenged. Read his story and be thankful. Why is friendship so important in our culture? What are some roadblocks to friendships deepening?